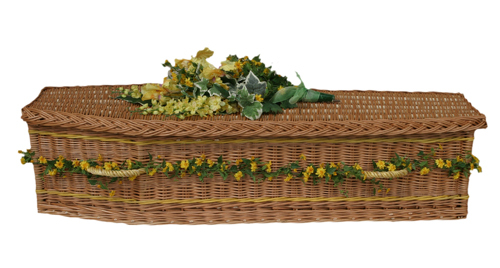 These willow coffins are made in the UK by fourth generation traditional basketmakers from locally grown willow, making it the ultimate in environmentally friendly alternative coffins. 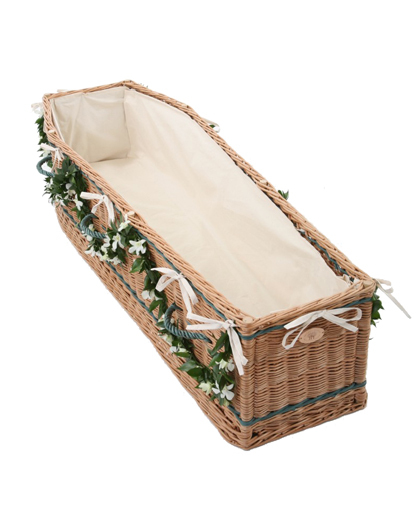 All UK sourced and made willow coffins are bespoke designed to the customers specification with a selection of coloured band and coloured handle options to choose from at no extra cost - select your option below. 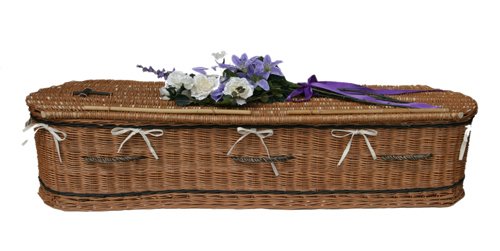 Coffin includes a hinged lid and fastening with sliding willow rod and six handles. Sizes: 5'6" x 18", 5'8" x 20", 5'10" x 20", 6'0" x 20", 6'2" x 22", 6'4" x 22", 6'4 x 24" and 6'6" x 24" all with a 14" depth. Biodegradable poly liners, Calico liners/frill, Ply bases and Ply Plates available to order (see below). 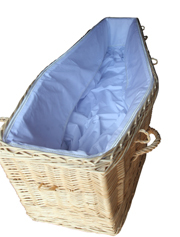 Childs caskets available with natural coffin lining, contact us for details. 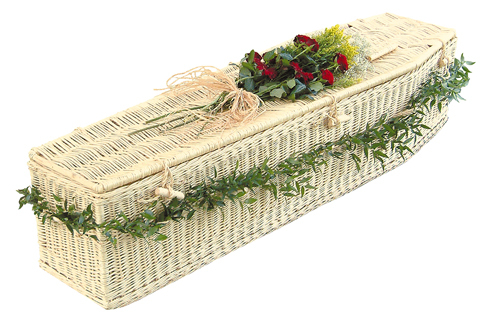 All UK sourced and made willow coffins are bespoke designed to the customers specification with a selection of coloured band and coloured handle options to choose from at no extra cost - select your option below. 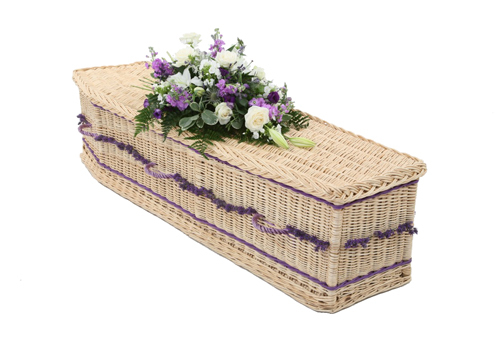 Coffin includes a plaited willow edge with screw down lid and six woven handles. 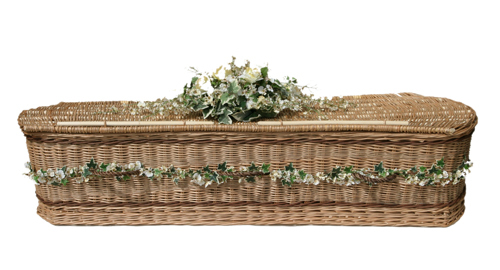 All UK sourced and made willow coffins are bespoke designed to the customers specification with a selection of coloured band and coloured handle options to choose from at no extra cost - select your option below. 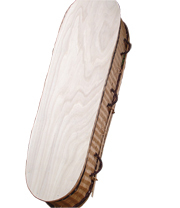 Coffin includes a hinged lid and fastening with sliding willow rod and six handles. 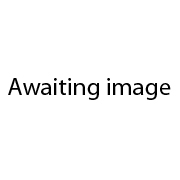 Image shown is for illustration purposes only. 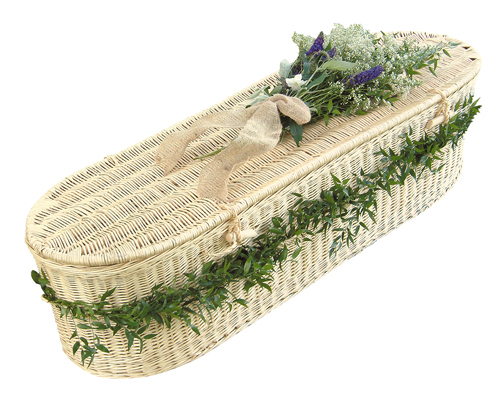 Choose from a selection of coloured willow bands and handles to accompany your UK sourced and made willow coffin. 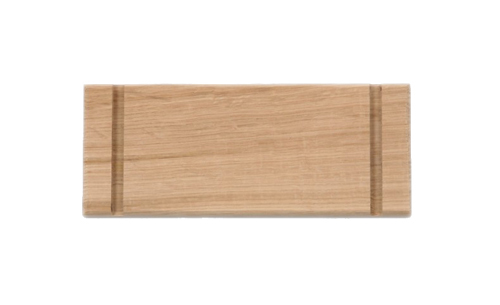 These bands and handles are complimentary with your coffin purchase and include a full band around the top and the bottom perimeter of the coffin and 6 handles. 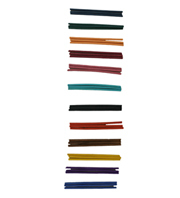 Available in the following colours: Navy, Green, Orange, Maroon, Pink, Aqua, Black, Red, Brown, Yellow, Purple and Royal Blue. 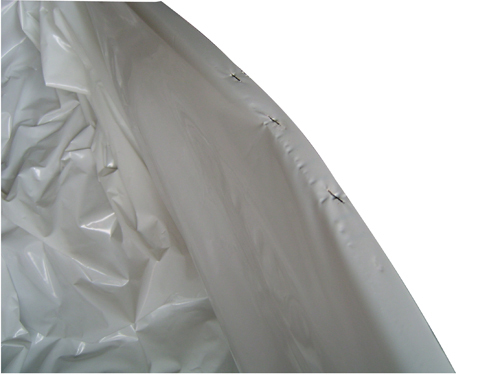 White, totally waterproof biodegradable poly liner for use with UK sourced and made willow coffins. A soft cotton/calico material manufactured into a coffin liner for UK sourced and made willow coffins. 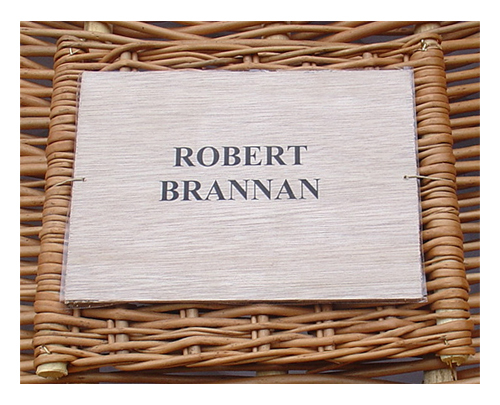 Ply nameplate for use with UK sourced and made willow coffins. Plyboard base suitable for UK sourced and made willow coffins. Golden brown willow coffin inlaid with chestnut brown bands and woven handles. 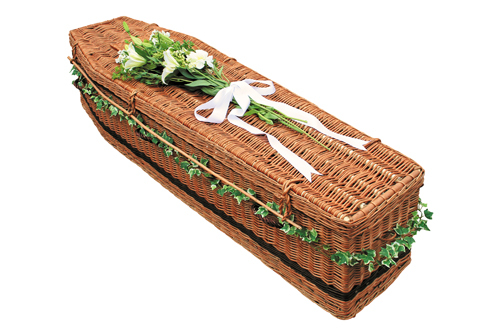 Suitable for cremation or burial. 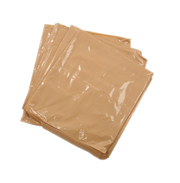 Sizes: 5'6" x 18", 5'8" x 20", 5'10" x 20", 6'0 x 20", 6'2" x 20", 6'6" x 25, 6'10" x 26". All with a depth of 16". Child sizes available - contact us for more details. 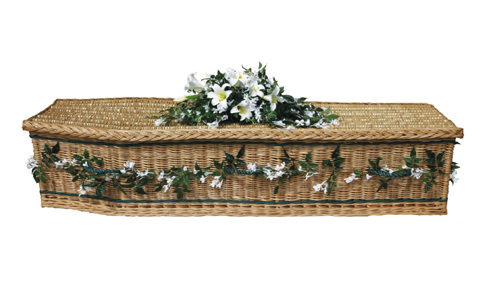 White willow coffins are naturally creamy-white in colour (not painted). 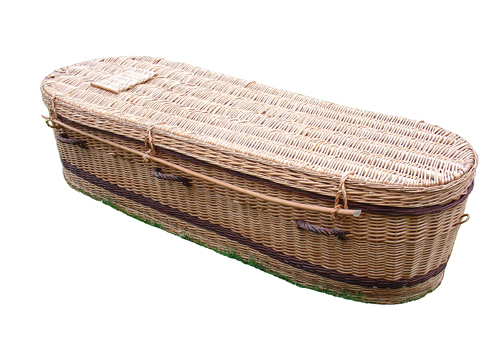 Suitable for cremation or burial.